The West is doing everything to fabricate a cause of war against or to isolate Russia further internationally. So far, ‘Novichok’ rests on rumors. The affair was made up the British and the French intelligence agencies without having presented any evidence. The term ‘Novichok’ was used to sound Russian, in fact, this nerve agent is known internationally as A-234. Instead, the Western alliance presents this case as a foregone conclusion. And the Western fawning media agitate as cheerleaders, having specialized in producing fake news a long time ago. So far, the Brits have been dining any requests by Russia to take part in the solving of this case. Why? As the public got told, Yulia Skripal, the daughter of double agent Sergei Skripal, is on the road to recovery. Both are still Russian citizens. Russia has been denied to care about its citizens. When can Yulia Skripal testify, do the British intelligence tells her what to say publically? Perhaps she can even ‘prove’ that President Putin himself committed the attack!!! “1. 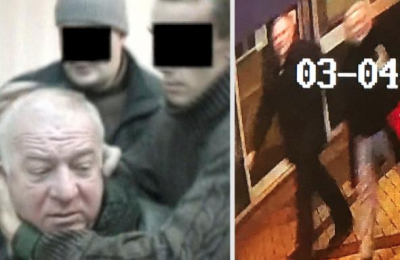 Why has Russia been denied the right of consular access to the two Russian citizens, who came to harm on British territory? How credible is the West, after having staged several incidents that led to wars. Such as Pearl Harbor (Franklin D. Roosevelt knew about it in advance), the Gulf of Tonkin affair, Operation Northwood, operation ‘Gladio’ where NATO countries maintained secret armies to commit terrorist attacks and put the blame on the left. The infamous incubator affair, where Saddam’s so-called henchmen trough new-born out of the incubators. But it doesn’t end here, the staging of the attack against Iraq by Colin Powell’s infamous speech before the UN about alleged Iraqi WMDs and the fabricated dossier of the Brits under Tony Blair. The real problems are not the crooks in the different Western administrations but the media. They have been hammering the fake news home to the minds of the people to believe it as reality. Without having presented any evidence in the so-called Russian collusion affair into the American elections nor the alleged Russian nerve gas attack against Skripal and his daughter, the media have established rumors as facts. That’s how Western ‘free’ media operate, and Western ‘democracy’ is functioning. For both, the future looks bleak.